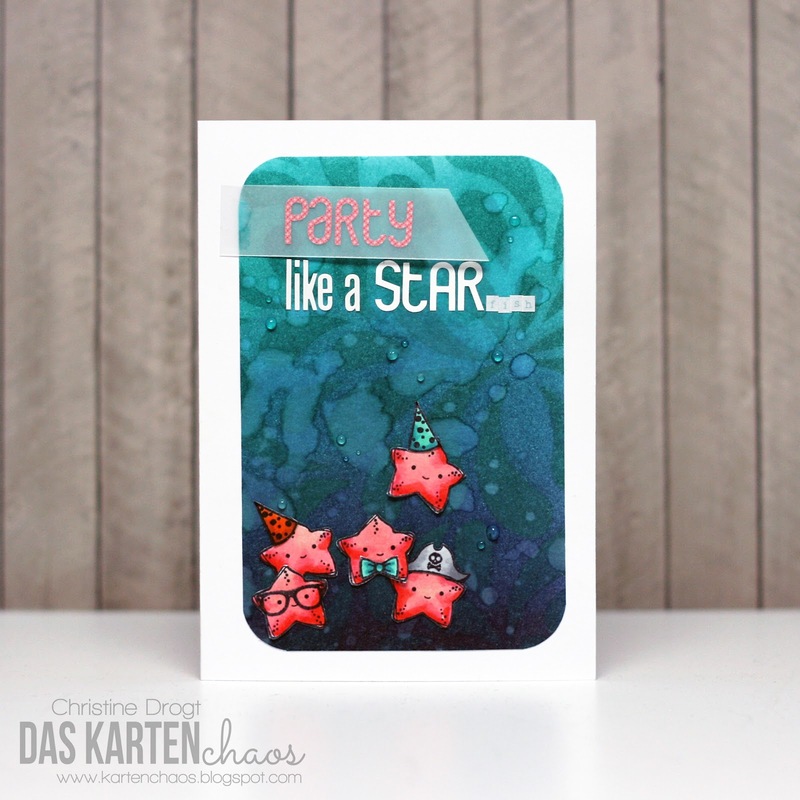 I used the starfish for my card,s tamped is a few times and added some fancy stuff from the "Too Hip" stamp set. The background was created with Distress inks to create a underwater-scene. Ich habe für meine Karte den Seestern mehrmals gestempelt und ihn mit Accessoires aus "too Hip" cersehen. 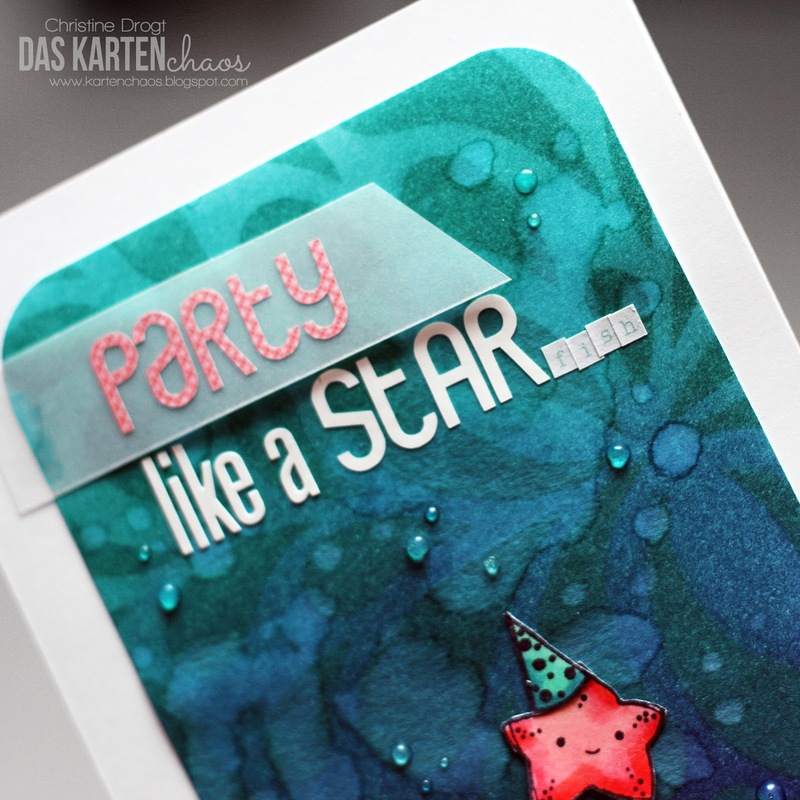 Den Hintergrund habe ich mit Distress Inks gemacht um eine unter-Wasser-Szene zu kreieren. And do you have a tutorial for this background? Its beautifull ! !